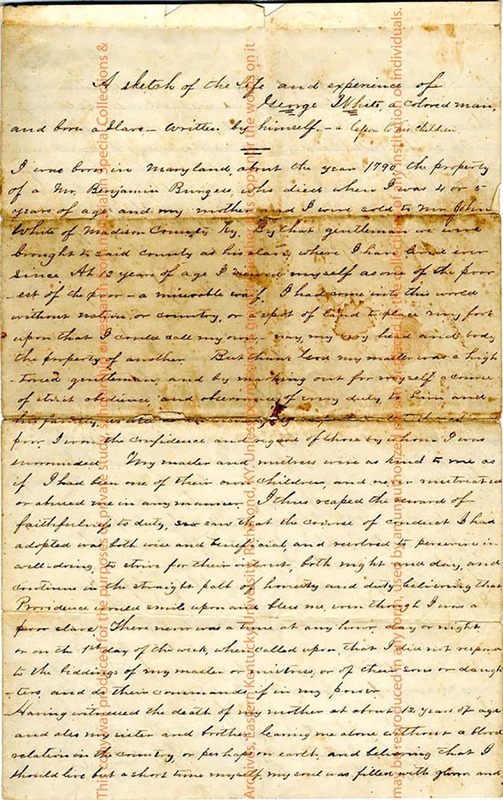 Materials documenting slavery in Kentucky including sale bills, receipts, manumission agreements, correspondence documenting a freeman and an autobiography of a man who was born a slave and upon gaining his freedom began purchasing family members. A Sketch of the Life and Experiences of George White, a Colored Man, and Born a Slave - Written by Himself. - A Lesson to His Children.